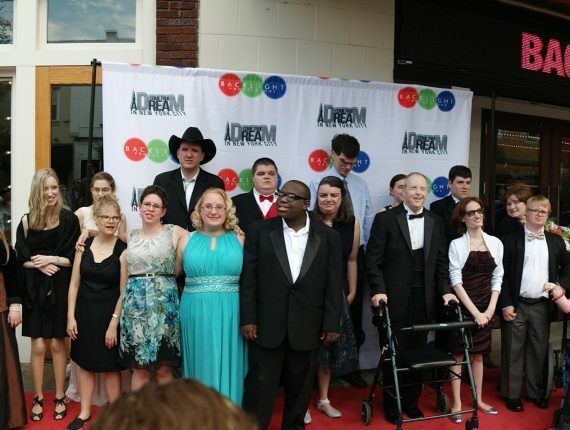 Providing opportunities for adults with special needs to gain education in the arts and perform significant roles before live audiences, enabling them to enhance their social skills through artistic expression and grow in confidence both on and off the stage. So what has Backlight become? I think that most of all, Backlight is a place where people with disabilities can be seen and heard, challenged, and encouraged. It is a place where people take the spotlights that they usually shine on themselves and, instead, shine them on those who usually are disregarded or left unnoticed. At Backlight, a person with special needs can actually achieve their dream of playing a lead role with elaborate lines, songs and dances, and get a chance to perform for an audience that is there to support and encourage them the whole way. It is a place where a great production doesn’t have to be a “perfect” production and a great performer might not be who the world typically puts front and center. I chose the name Backlight Productions because of what a backlight is and represents. A backlight is a light used to shine on a performer from behind to keep him/her from blending into the background; it is also used to signify innocence and purity. At Backlight Productions our aim is to keep people with disabilities from getting lost in the background in the performing arts world. We want to use the performing arts to not just entertain the public but to influence lives for the better. Our students want to be uplifted, challenged, seen, heard, and understood and we have found that onstage is a beautiful place to see this done.